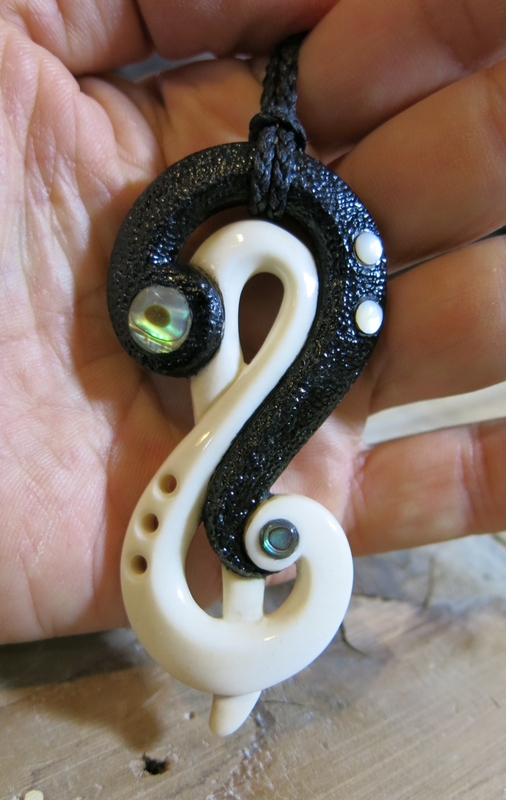 Here are some commission works I have done. 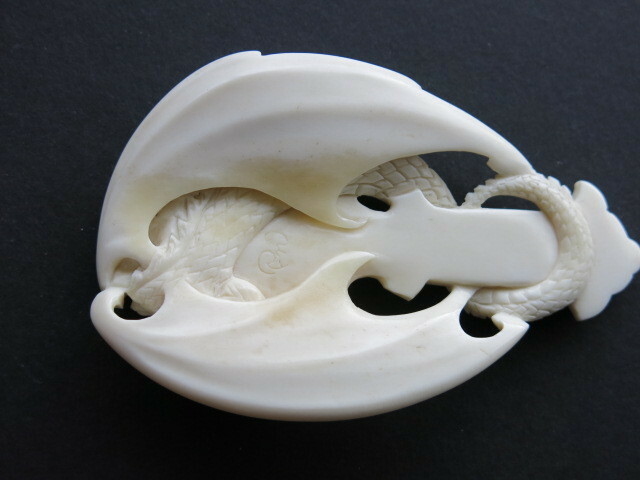 Some are un-disclosed and many Maori carvings are not shown here. 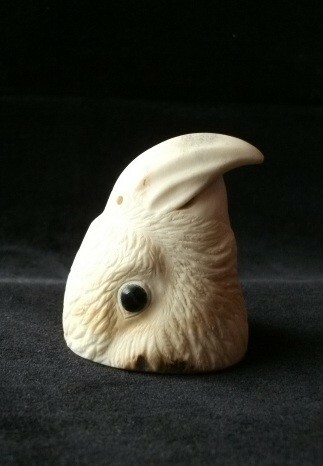 Please feel free to contact Fumio if you have any queries. 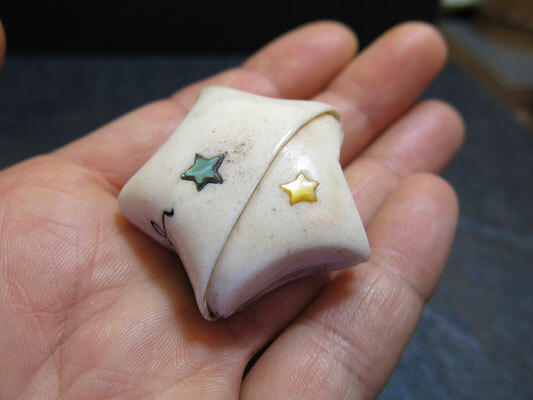 idea from Japanese Origami and Tanabata ceremony. 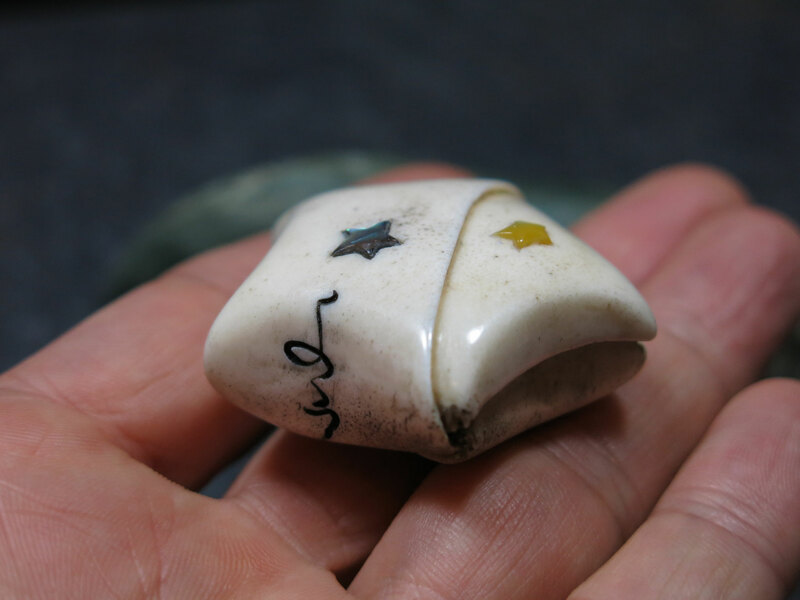 Two stars represent Vega and Altair that are allowed to meet only once a year in Japanese Myth. 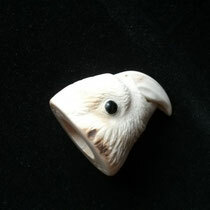 More stories on my Facebook Page. 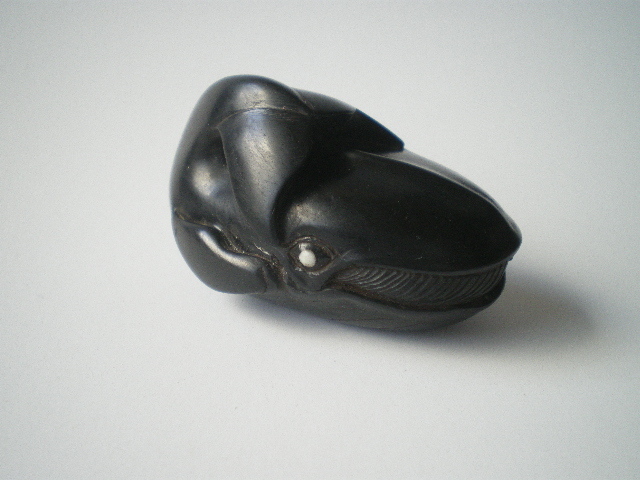 I carved this Blue Whale from JET. 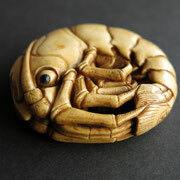 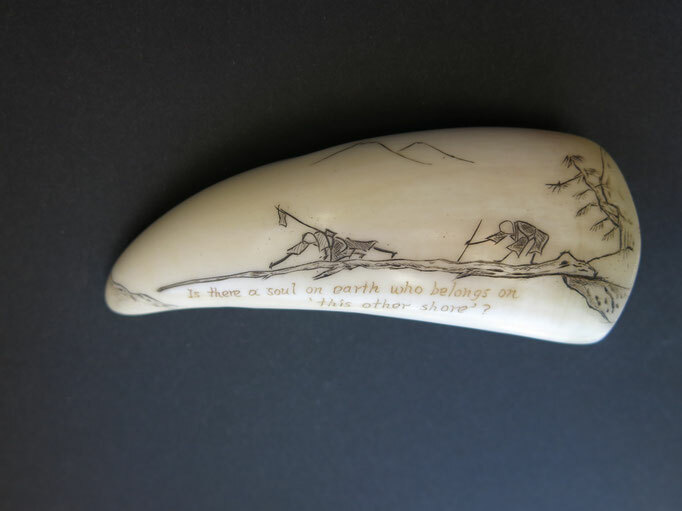 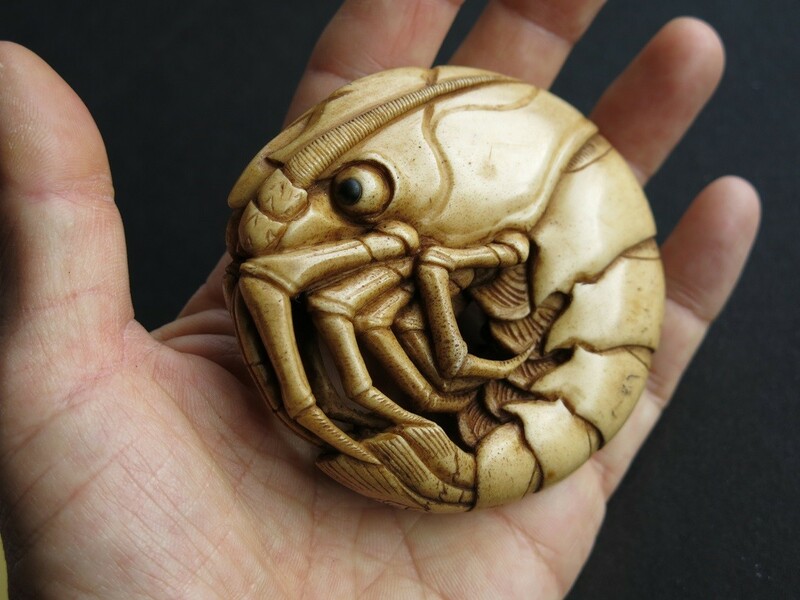 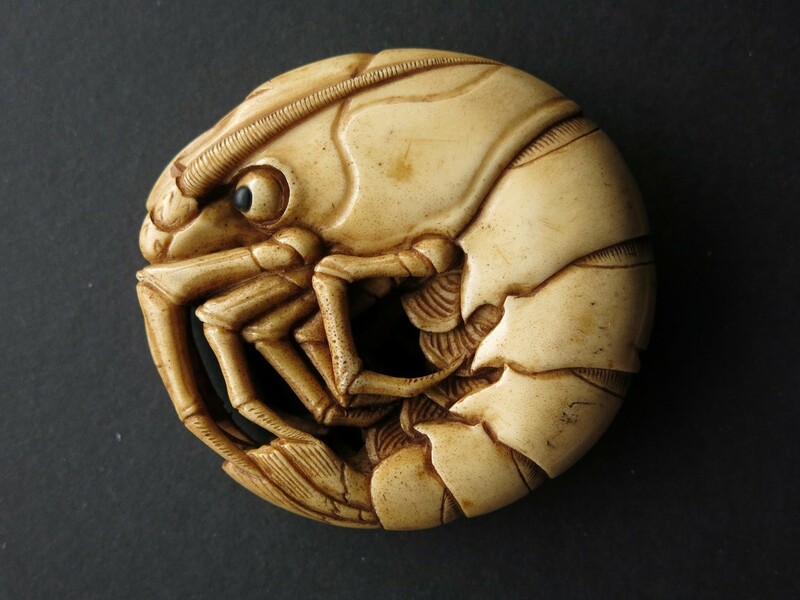 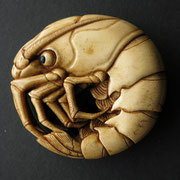 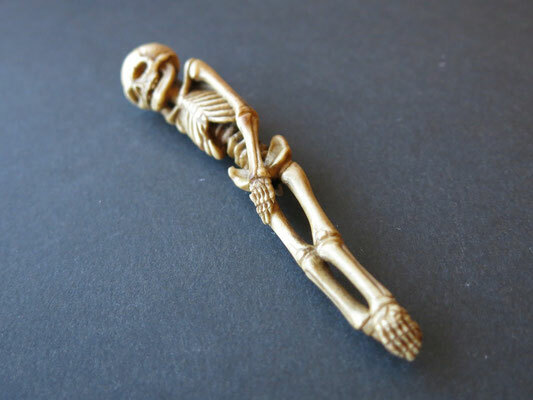 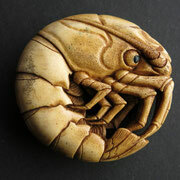 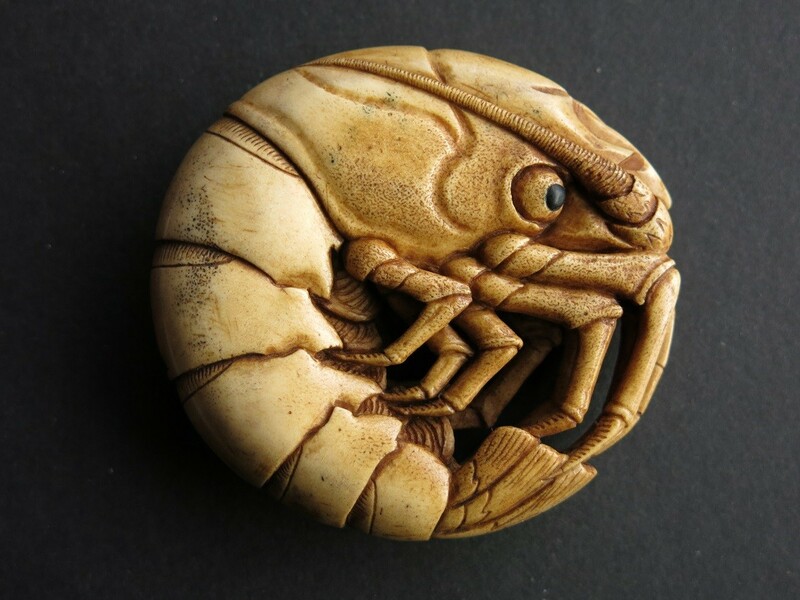 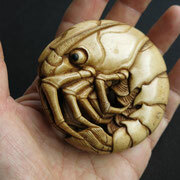 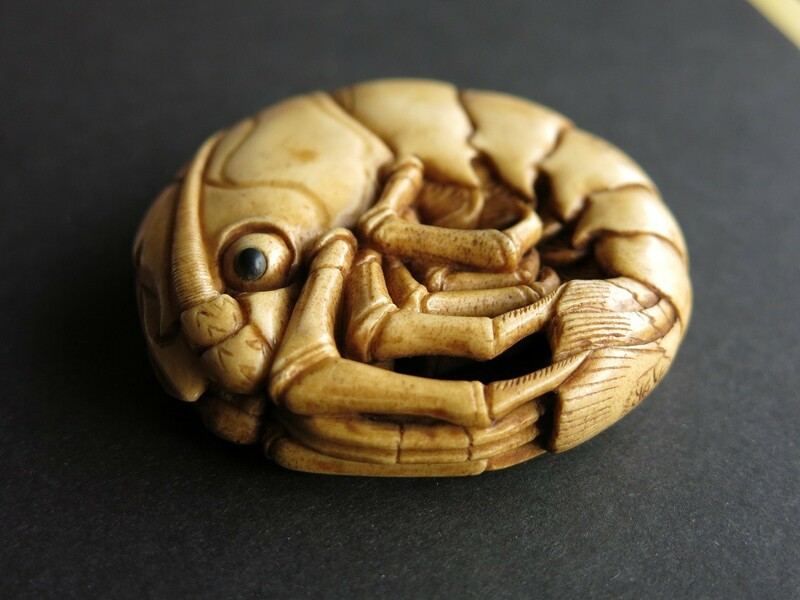 This Netsuke's idea comes from Hokkyo Sessai(1820~1879)'s Skeleton Netsuke. 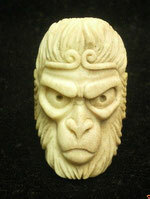 But this Fumio's version has lower jaw and right hand which Sessai's hasn't. 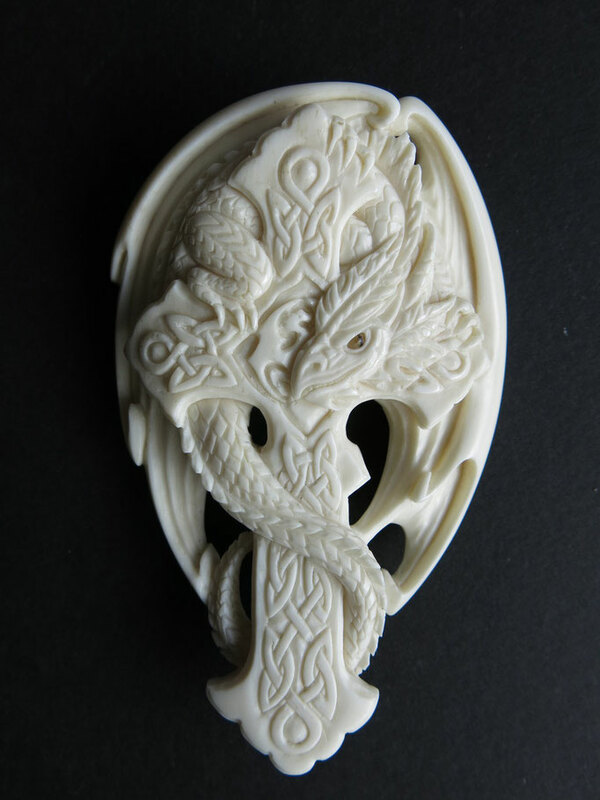 This is for a metal artist who loves Dragons. 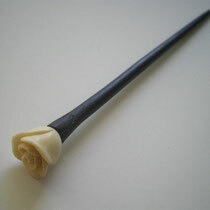 I could perfectly set an eye. 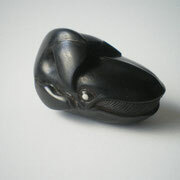 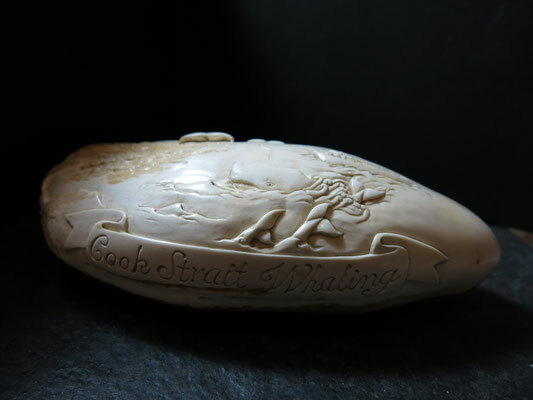 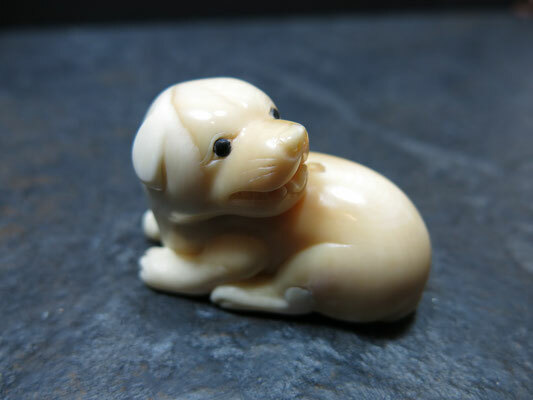 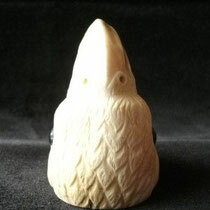 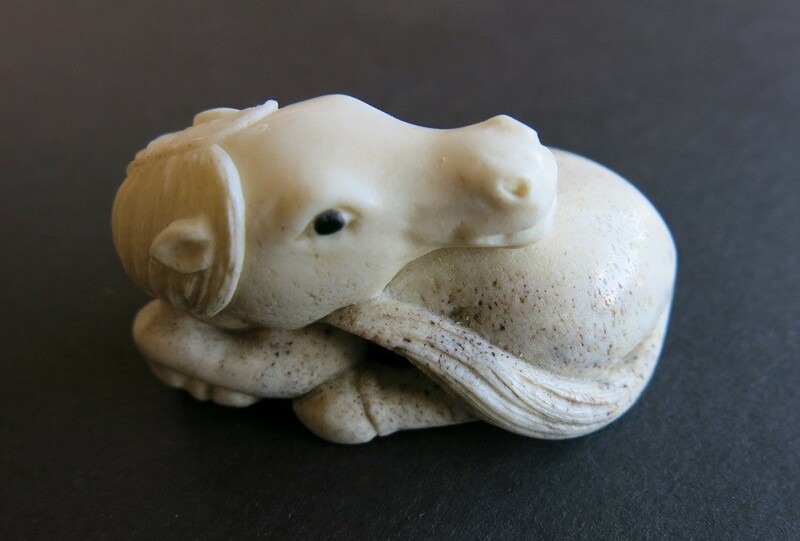 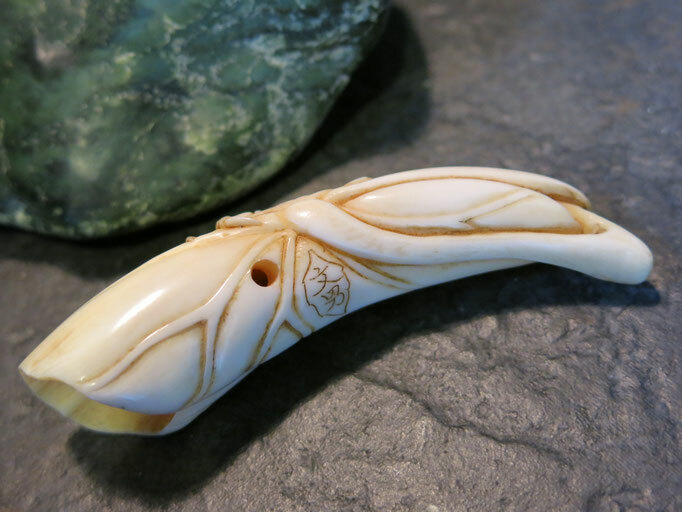 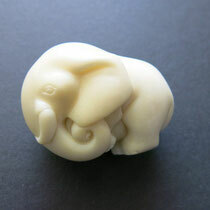 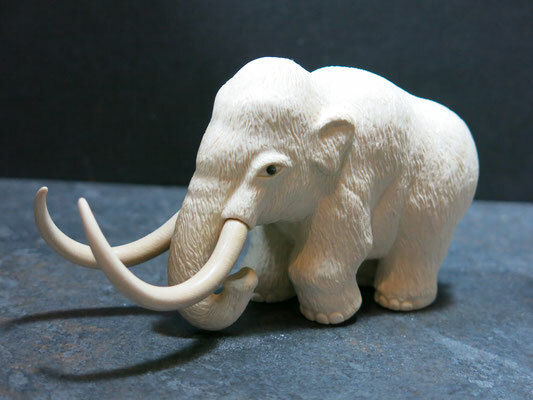 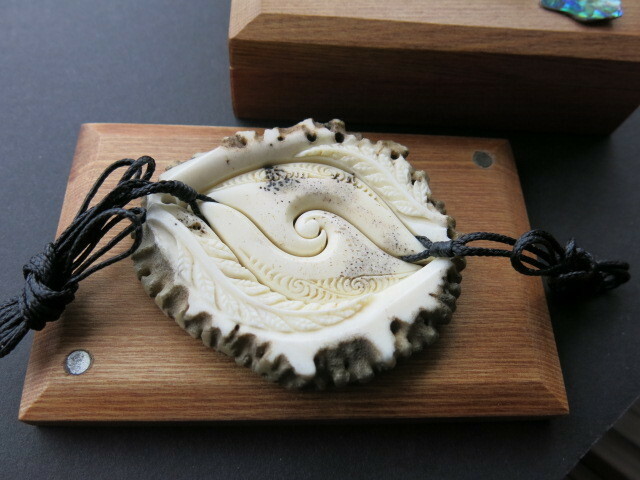 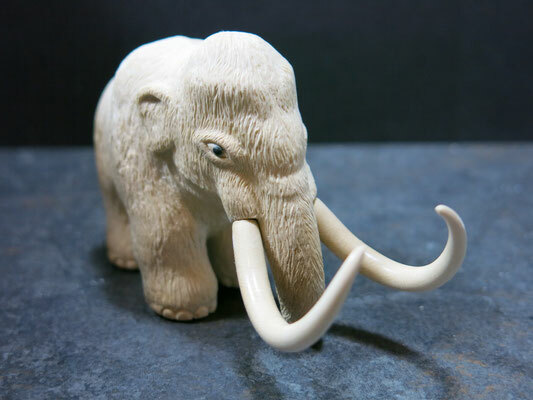 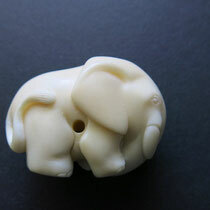 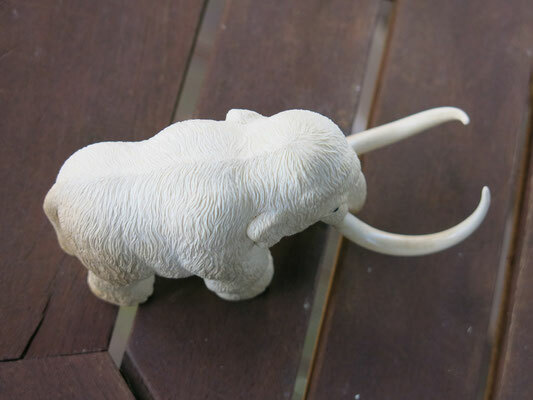 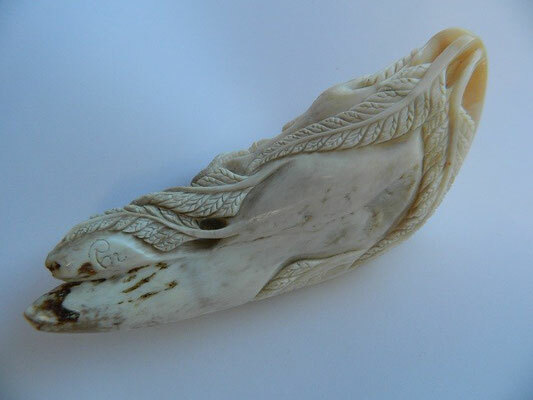 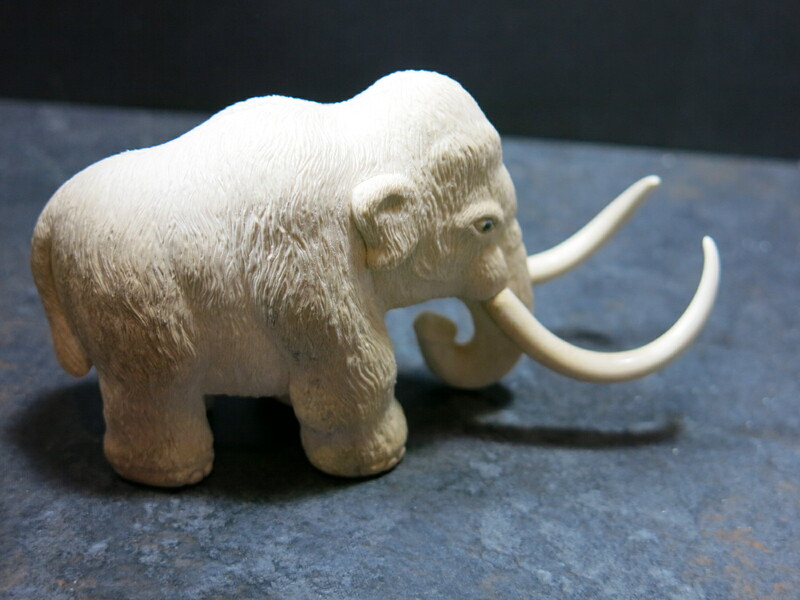 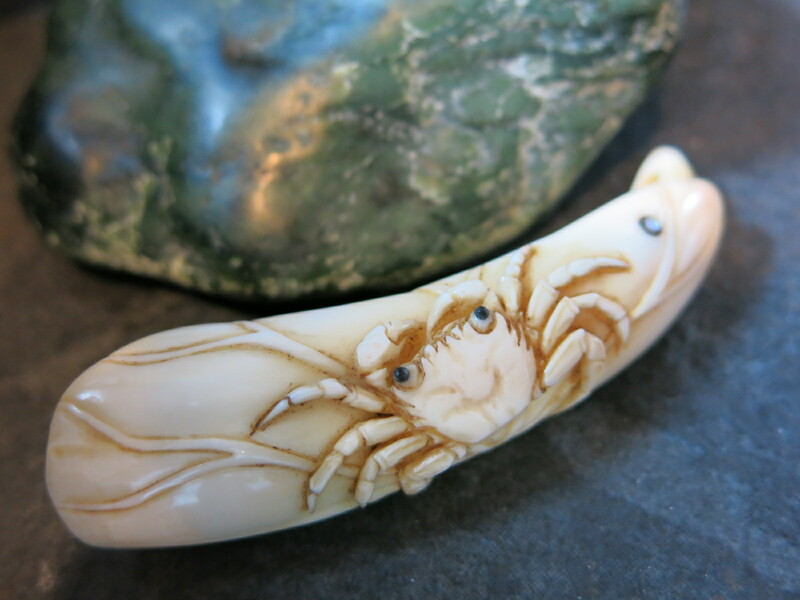 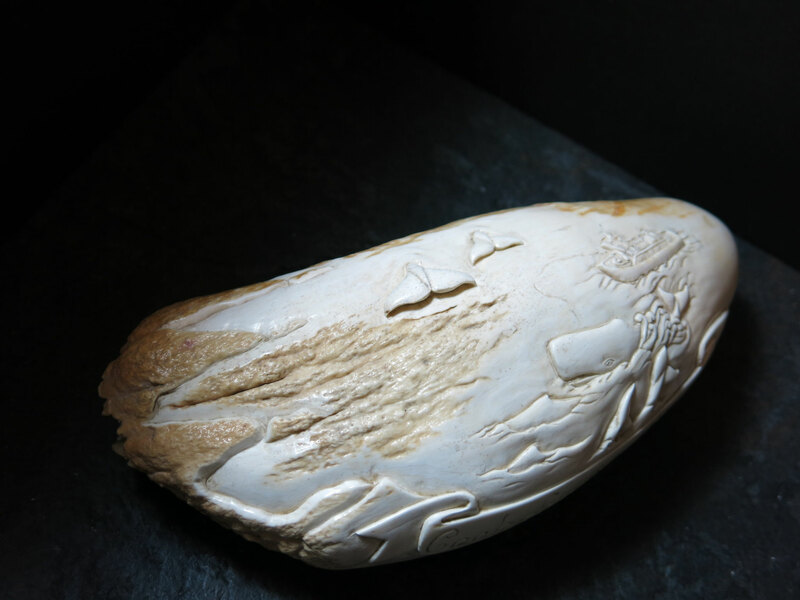 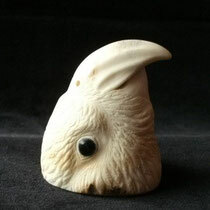 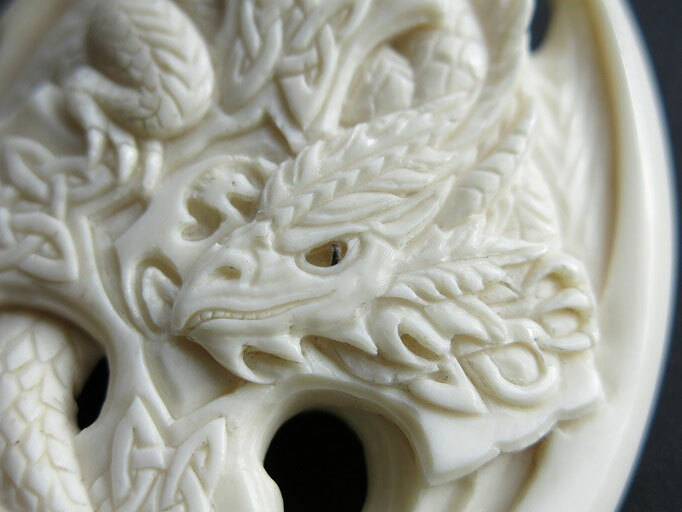 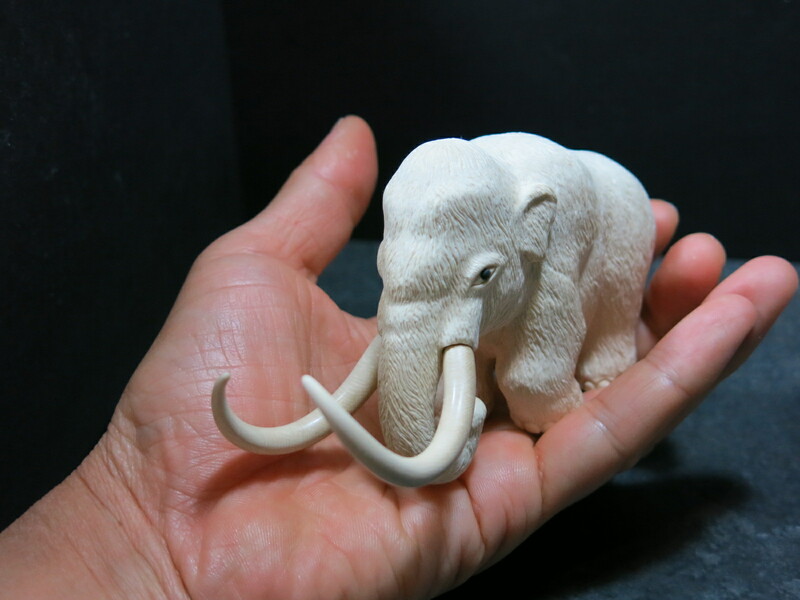 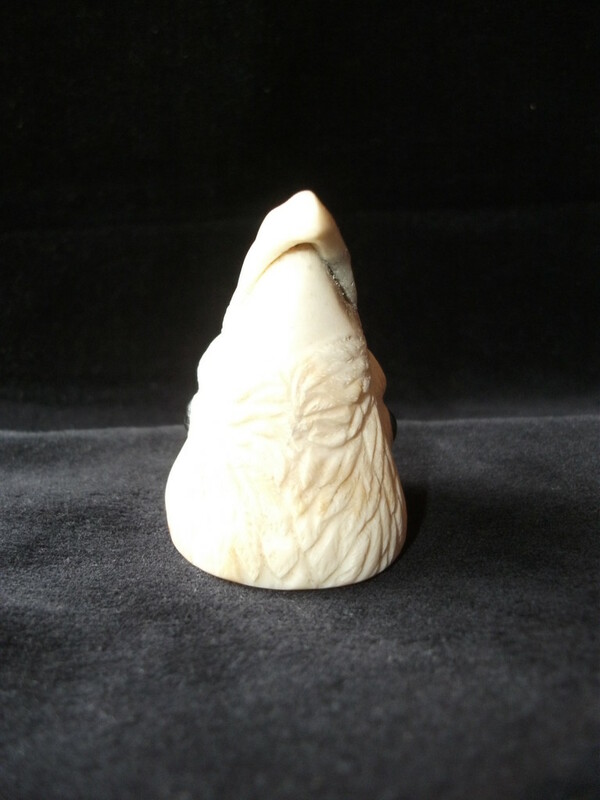 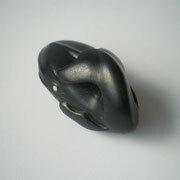 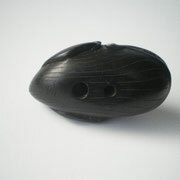 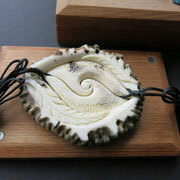 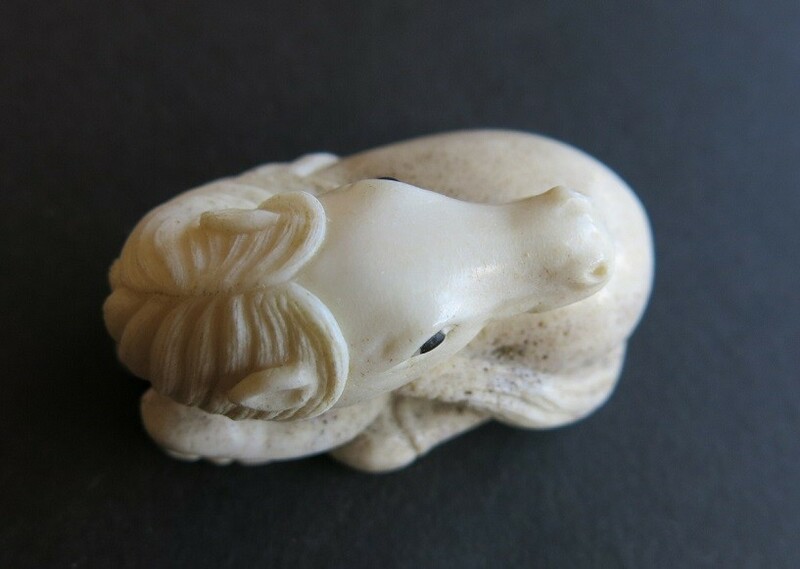 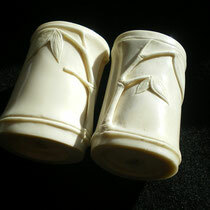 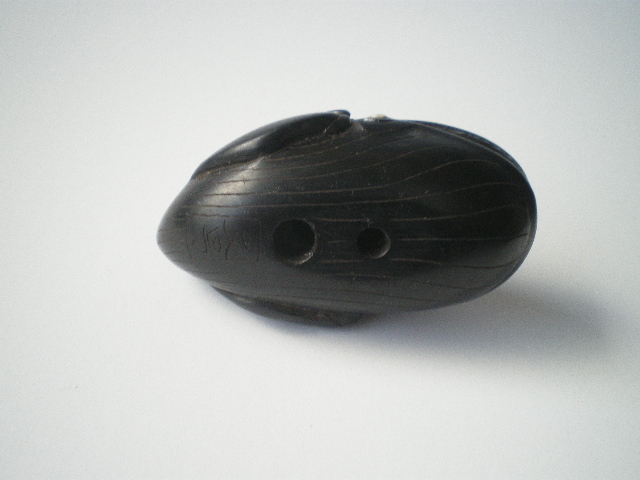 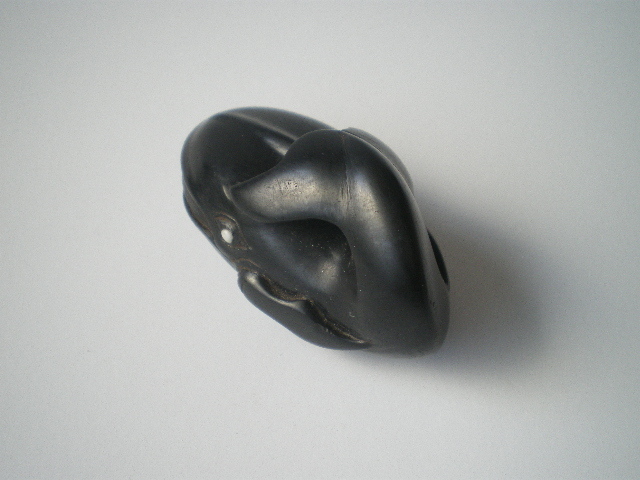 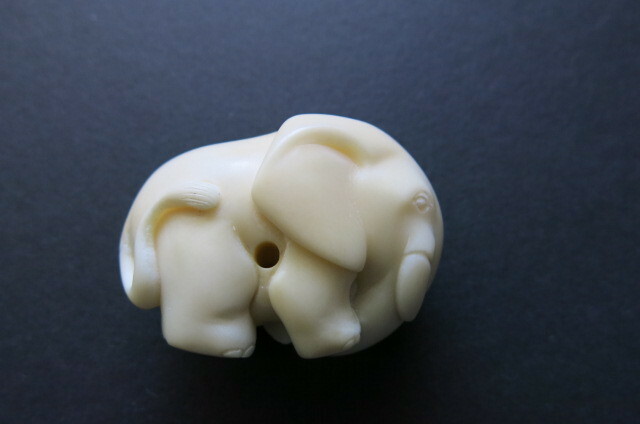 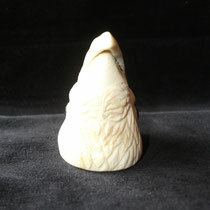 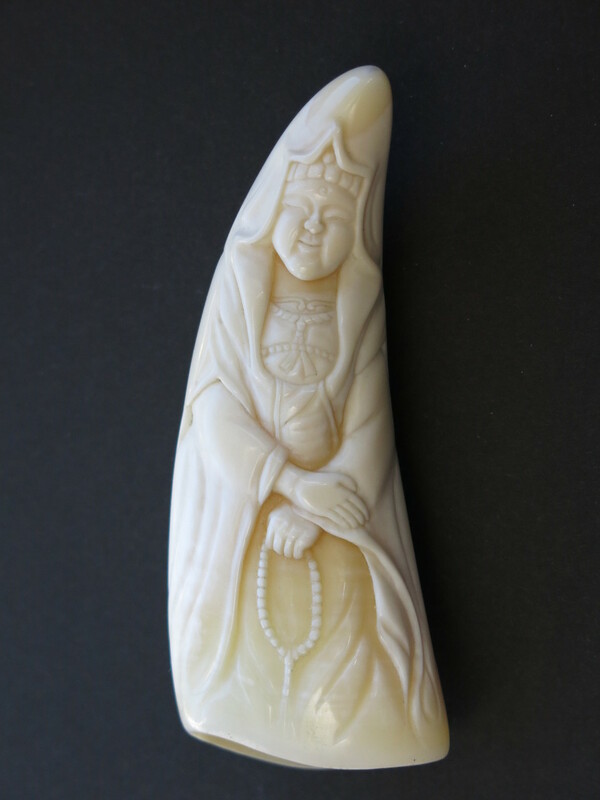 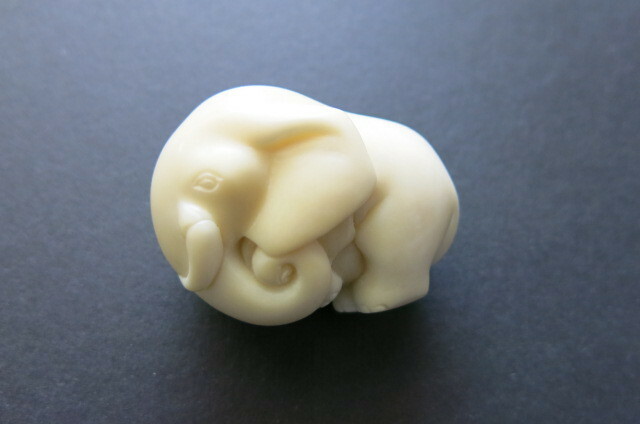 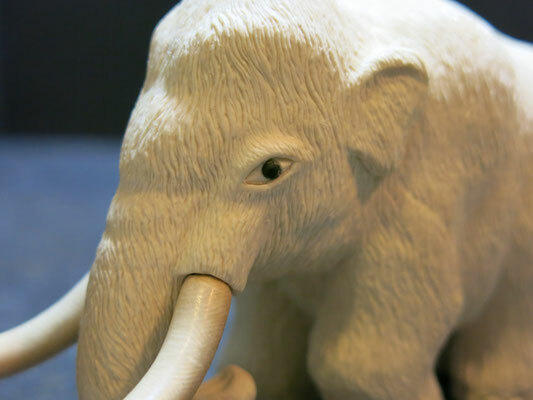 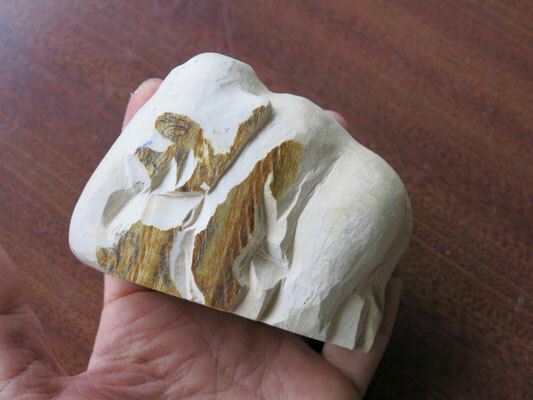 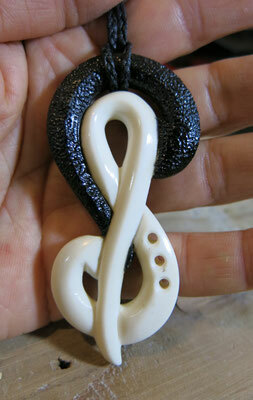 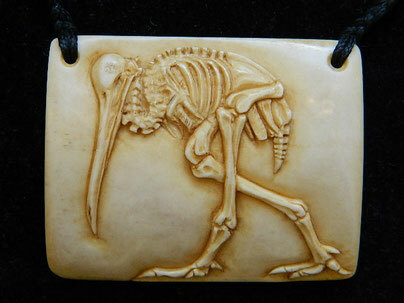 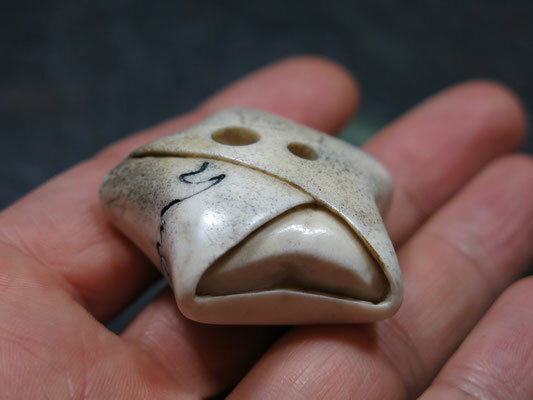 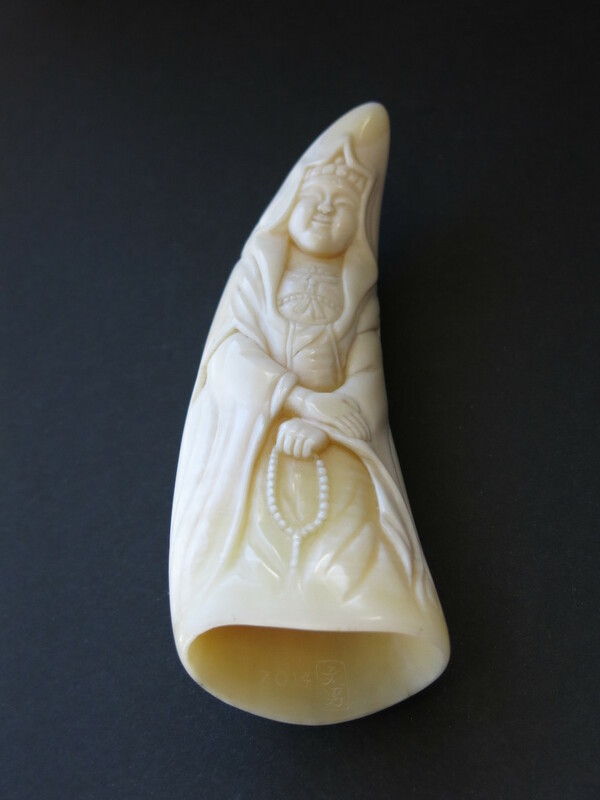 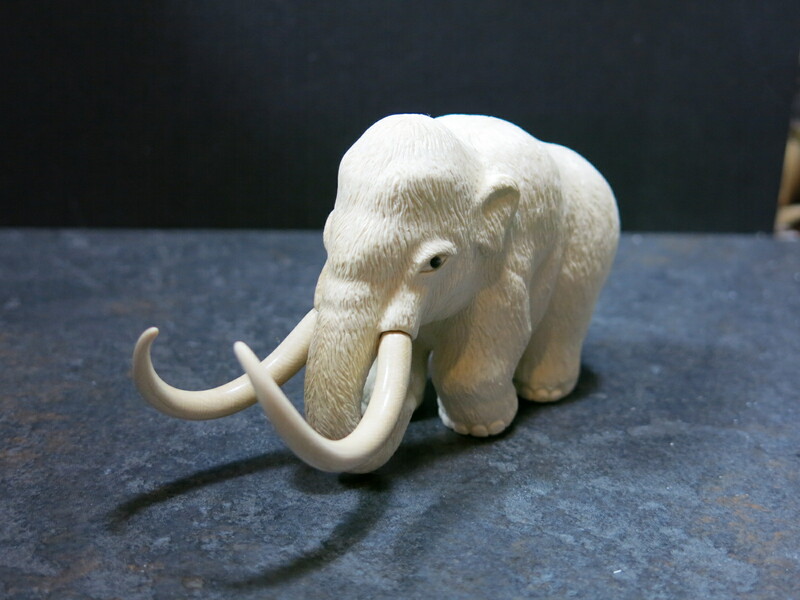 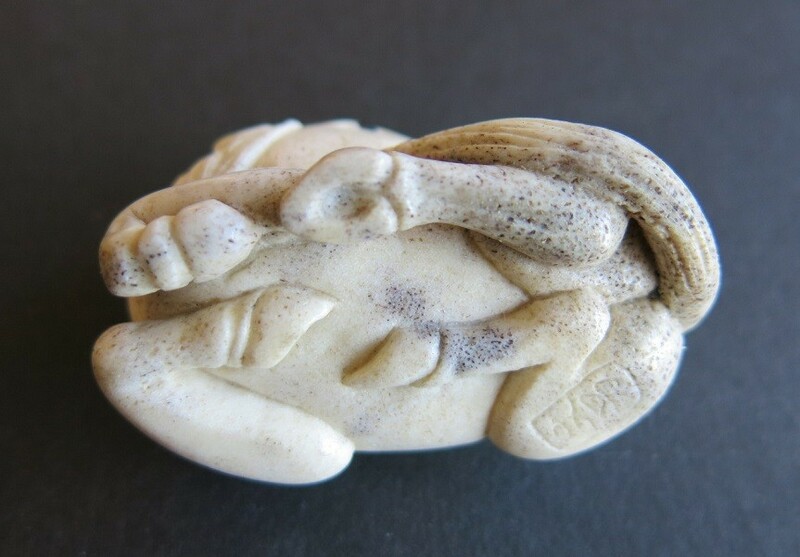 The client's request was Elephant Netsuke from Tagua Nut. 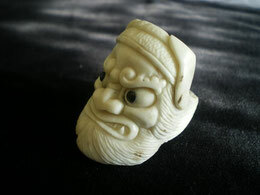 Syoki, a giant spiritual figure, was the protector of Emperor Genso(713-755). 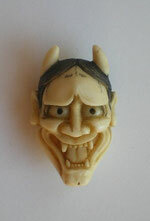 He is a god who excludes devils. 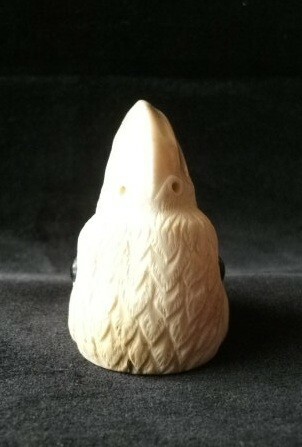 He has big eyes, thick beard and mustache. 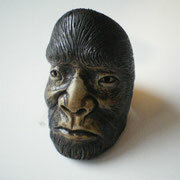 Usually, he wears a black crown and gumboots. 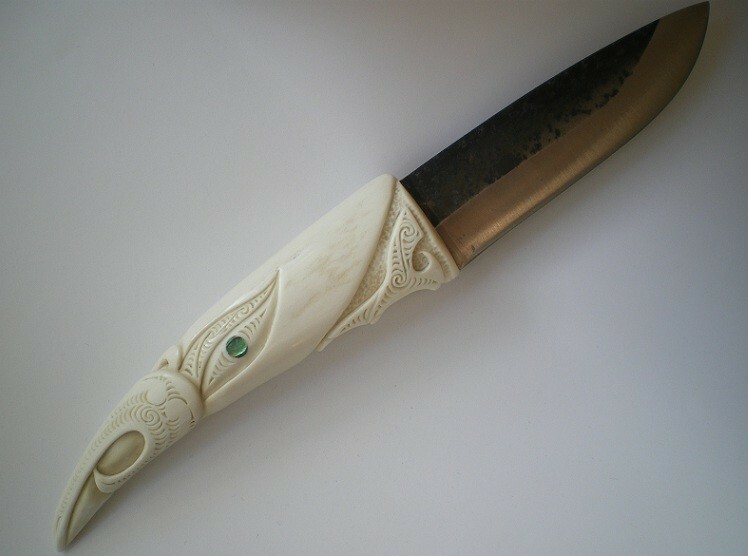 Holds a sword in right hand and a little devil in his left hand. 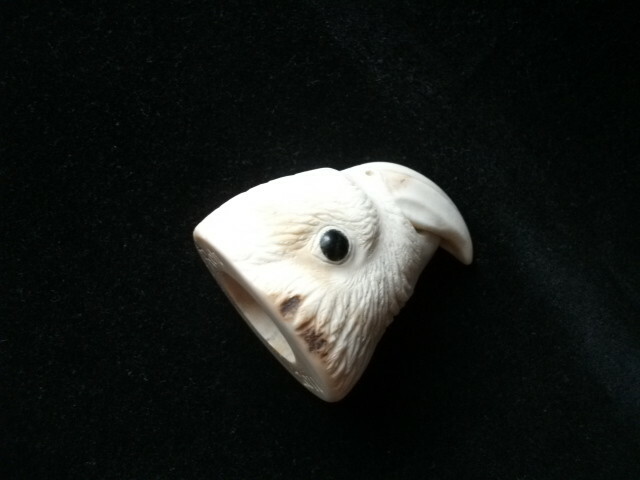 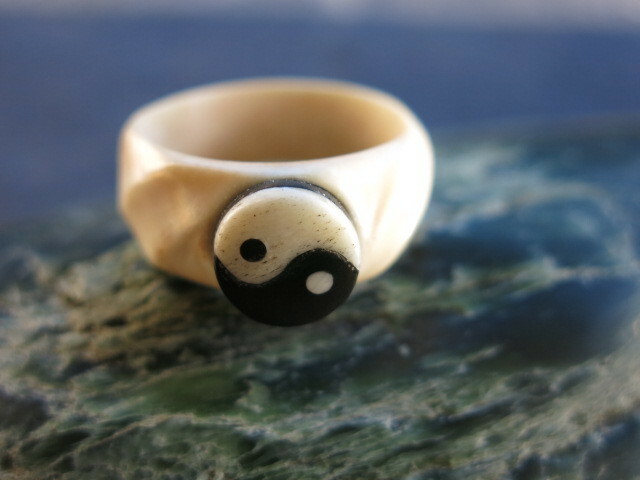 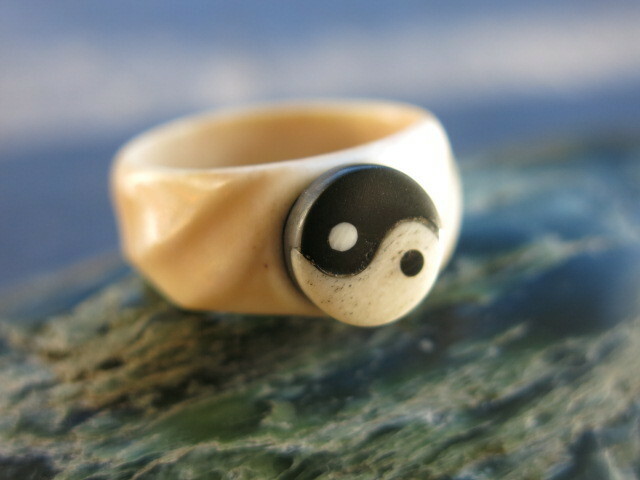 This Syoki was made to order for the client's finger as a ring. 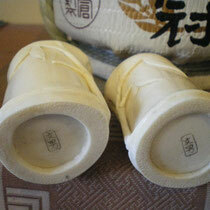 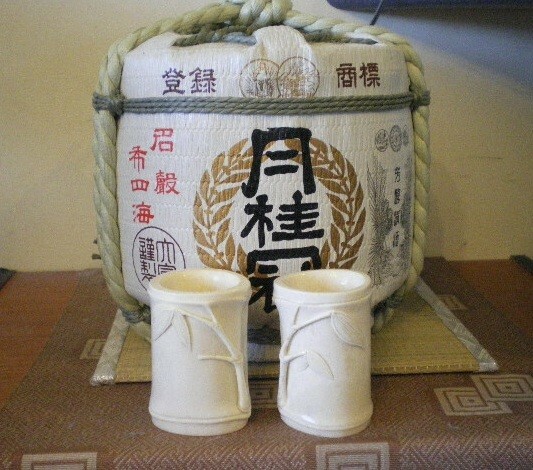 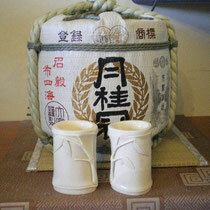 "Sho Chiku Bai" is the combination of Pine, Bamboo and Ume(plum). 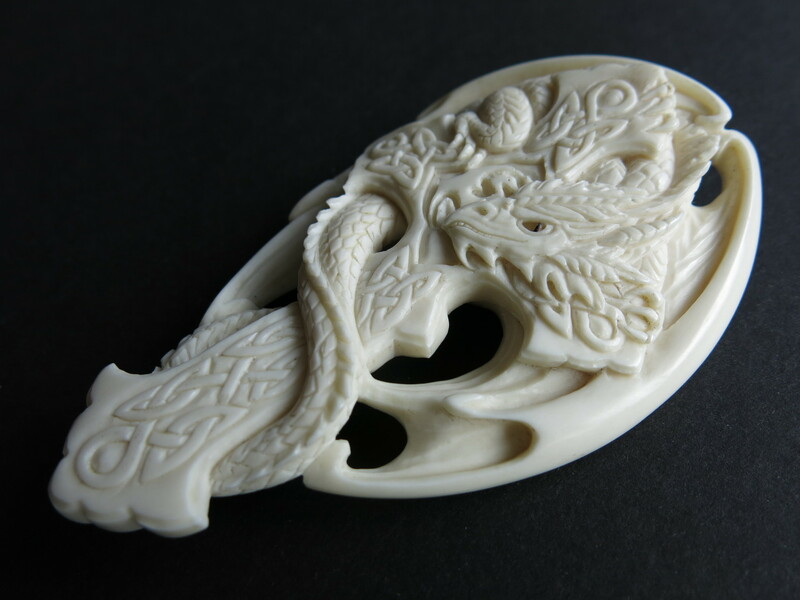 The three trees which endure the winter's cold were regarded as the three friends of the cold season and were a subject of pictures in ancient China as happy patterns. 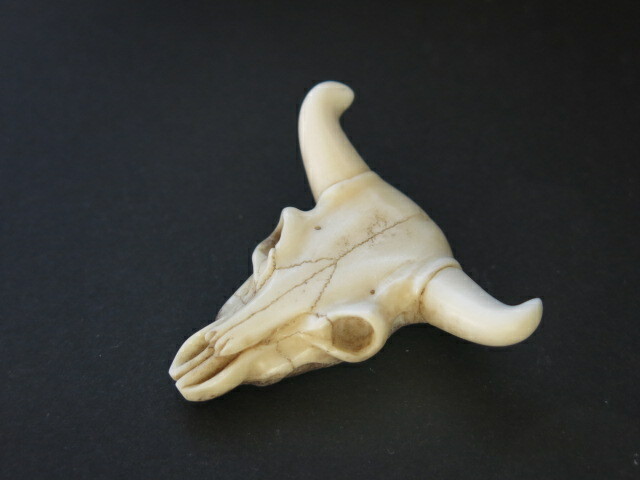 The Client bought a skull ring before, and he wanted a custom made. 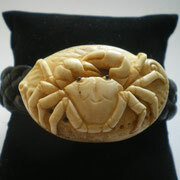 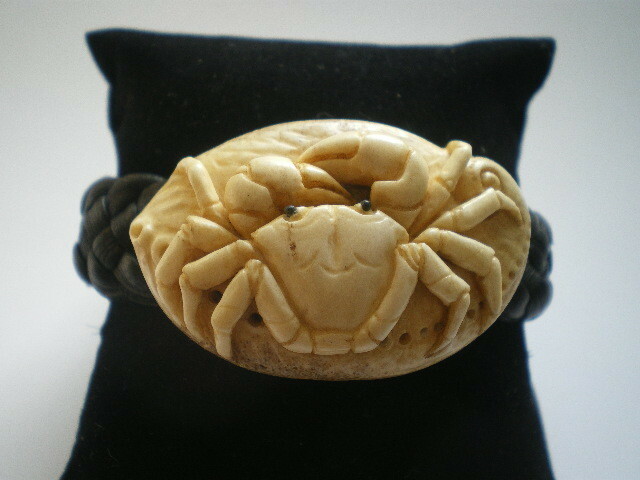 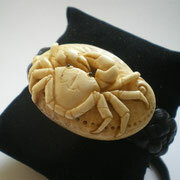 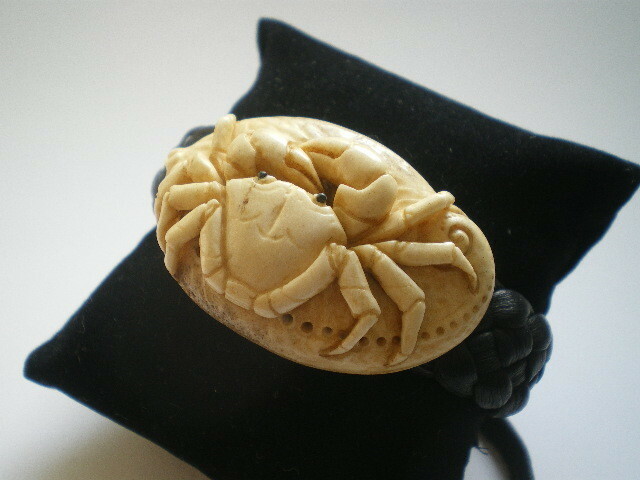 The client's request was a crab bracelet. 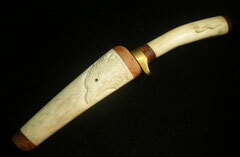 I chose a nicely curved deer antler to fit on wrist. 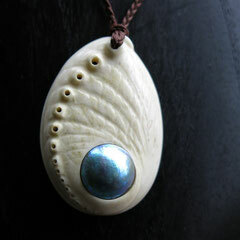 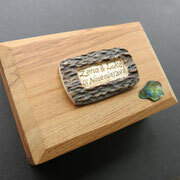 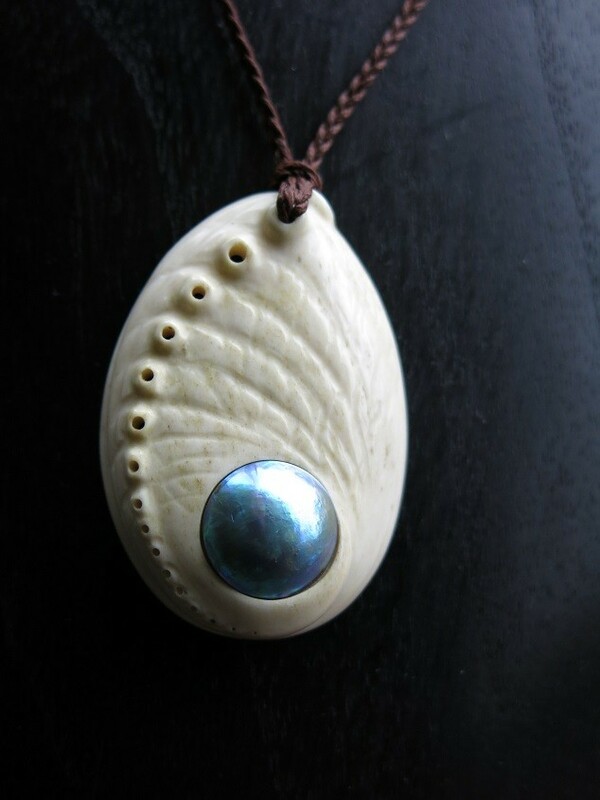 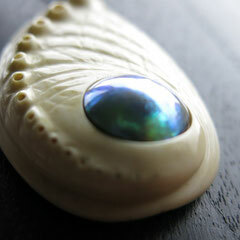 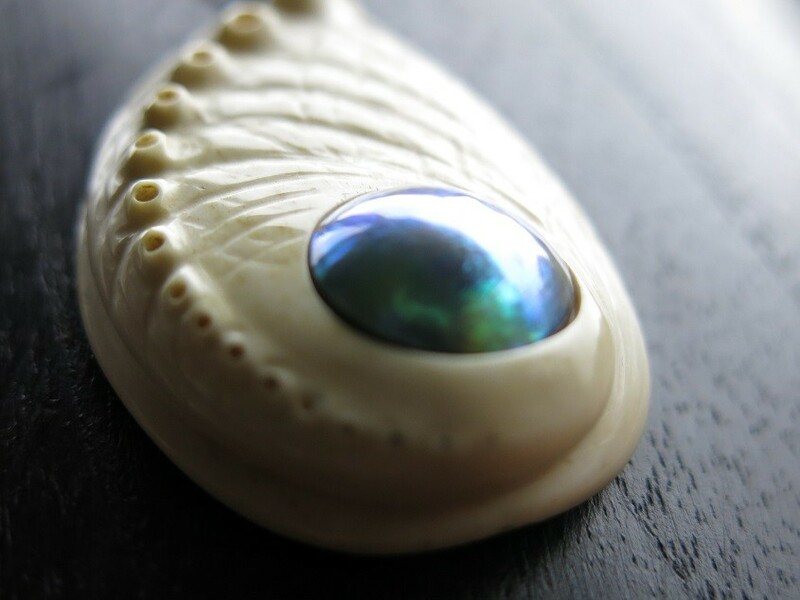 Not only carving a crab, but also I carved the base as a Paua Shell(abalone). 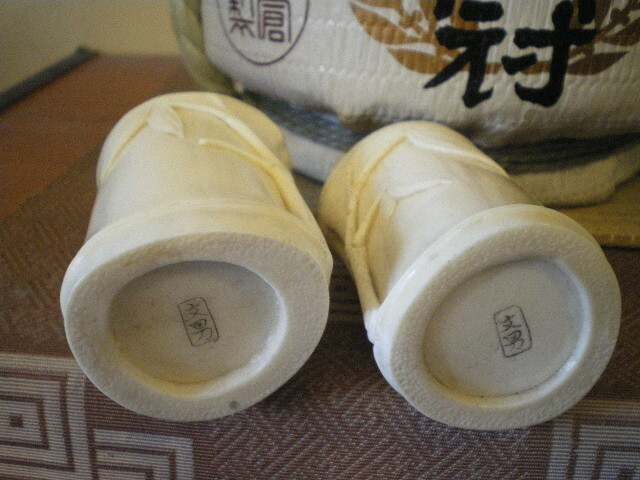 Finishing by connecting with leather strap. 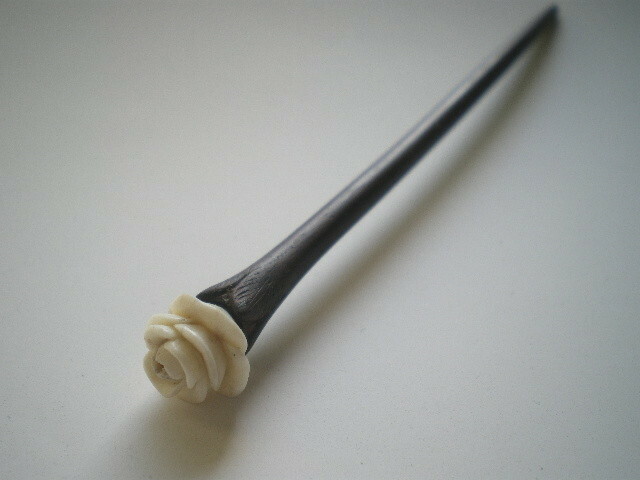 A Japanese lady ordered me to make Kanzashi(Hair Pin) which has White Rose on Top. 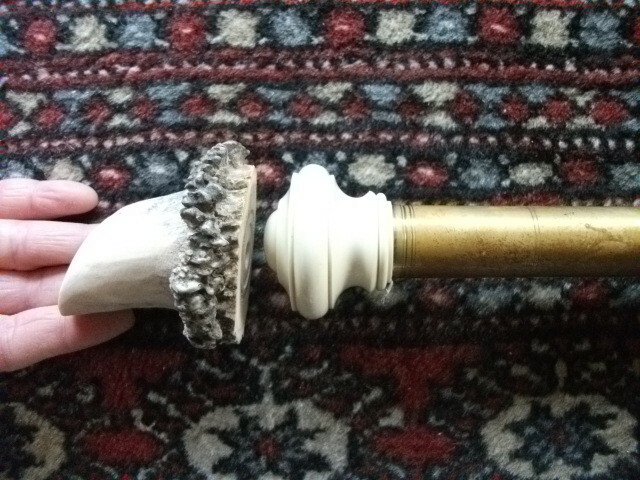 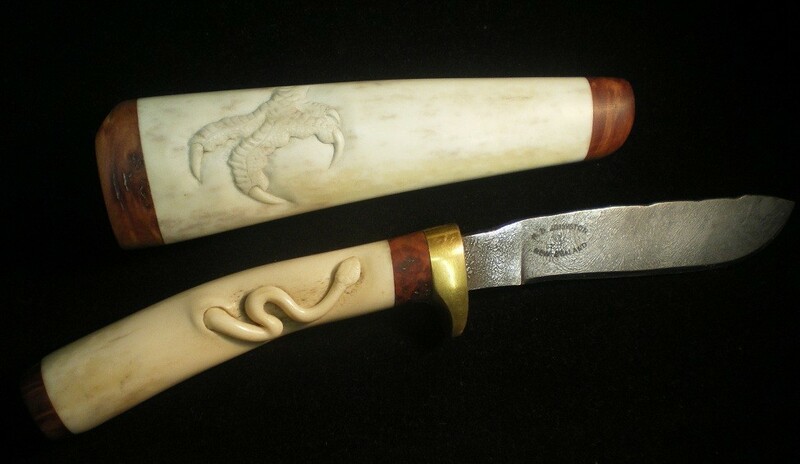 Both of them are made from Deer Antler(Rose) and Rosewood. 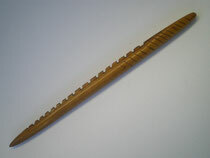 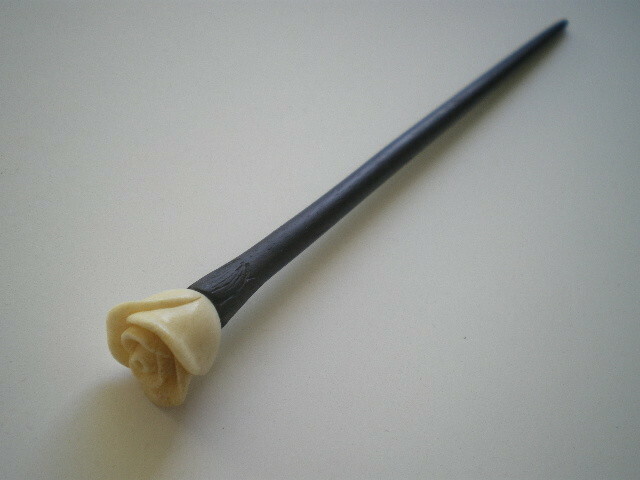 Connected by 2.36mm diameter metal shaft. 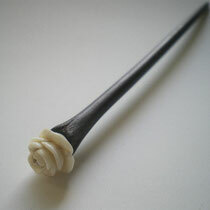 While I was shaping the rosewood, it smelled like sweet rose which was nice and perfect for this Rose Kanzashi. 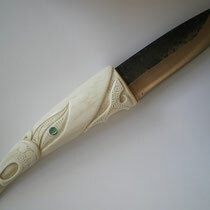 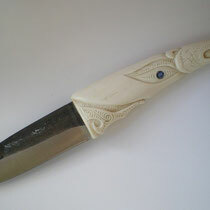 The client brought brand new knife that had wooden handle. 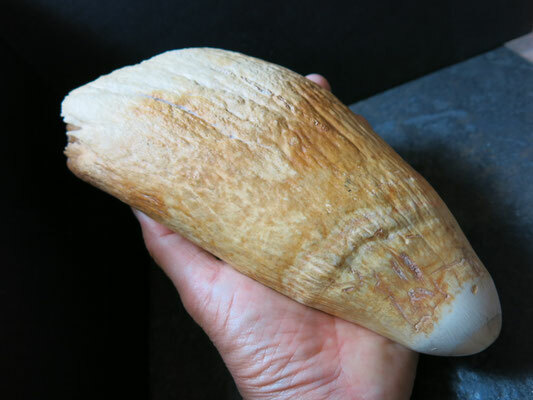 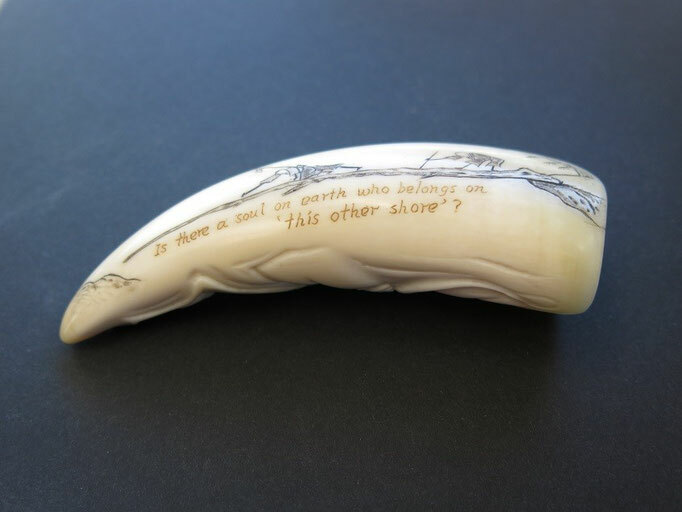 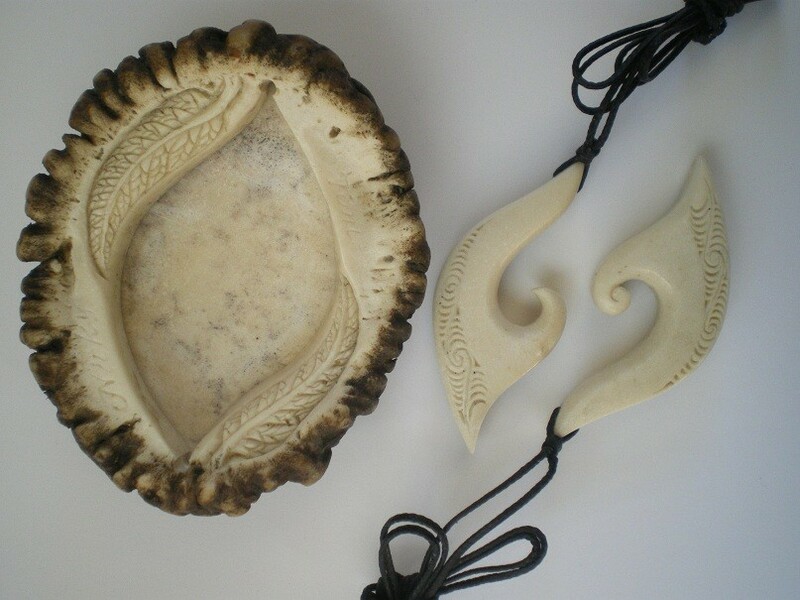 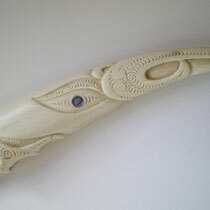 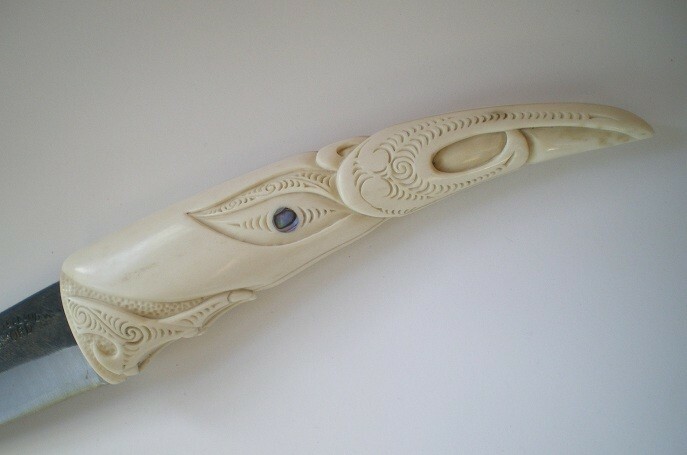 She asked me to carve Manaia or Taniwha on a Deer Antler. 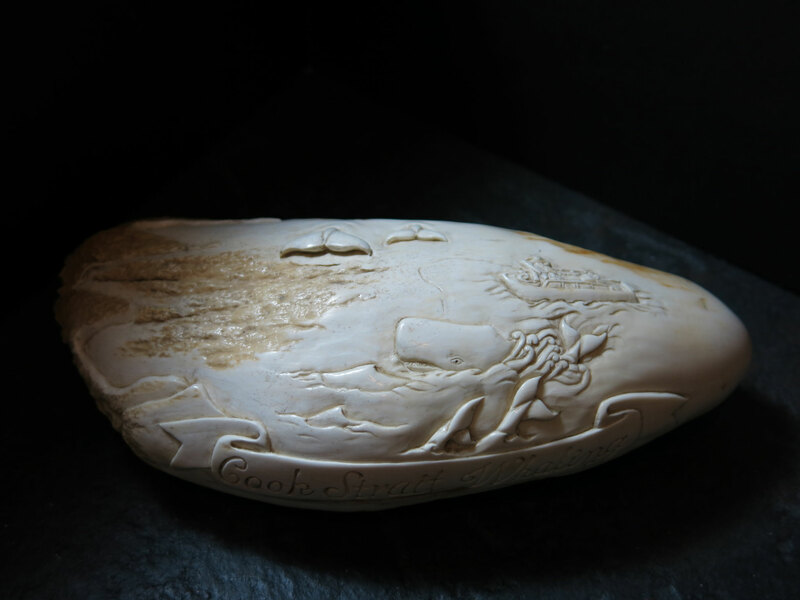 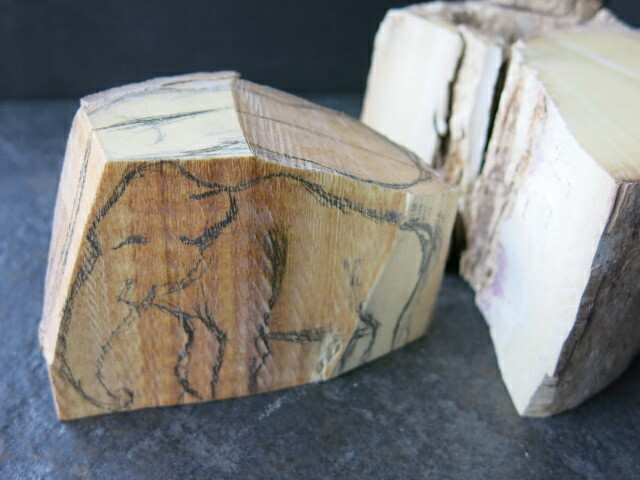 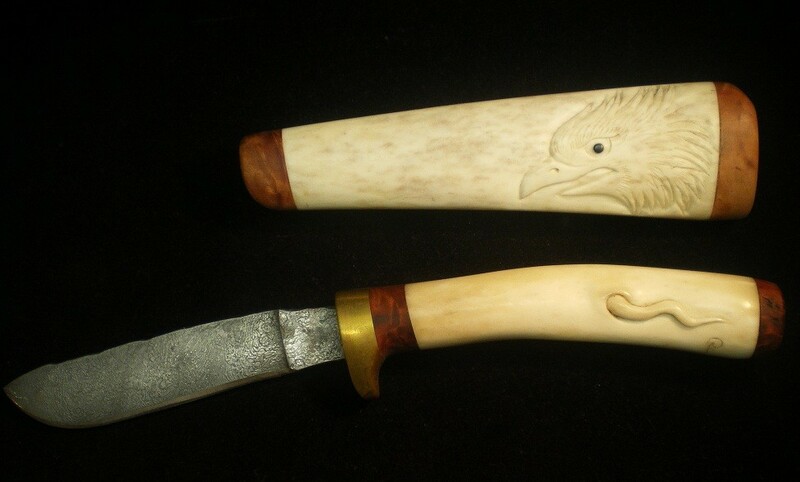 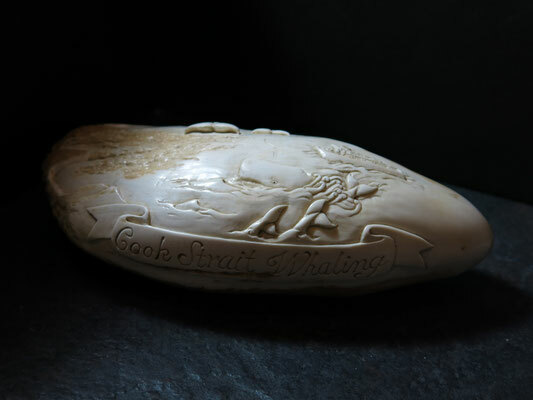 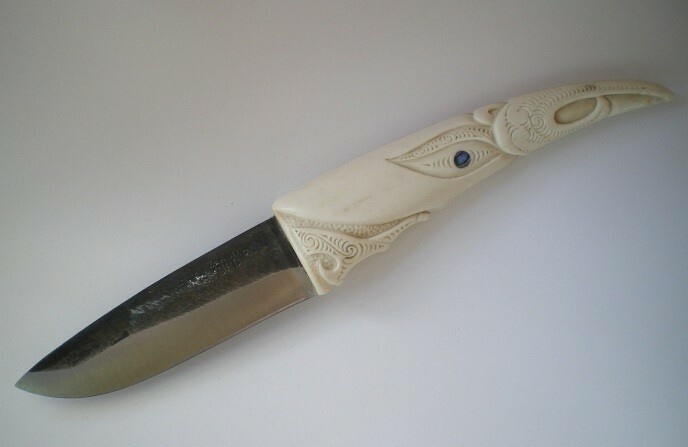 I took off the original handle and set the Antler, then carved like this. 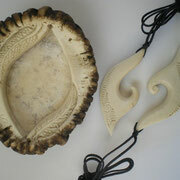 I chose a realy big and thick Deer Crown to make original pair Necklaces. 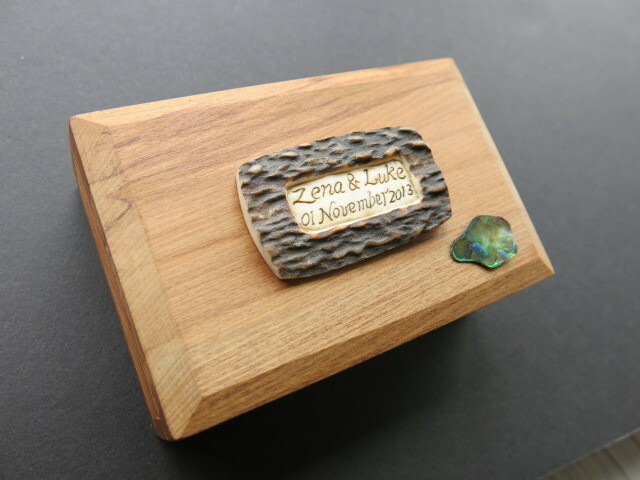 The piece is for a couple who get marry soon in UK. 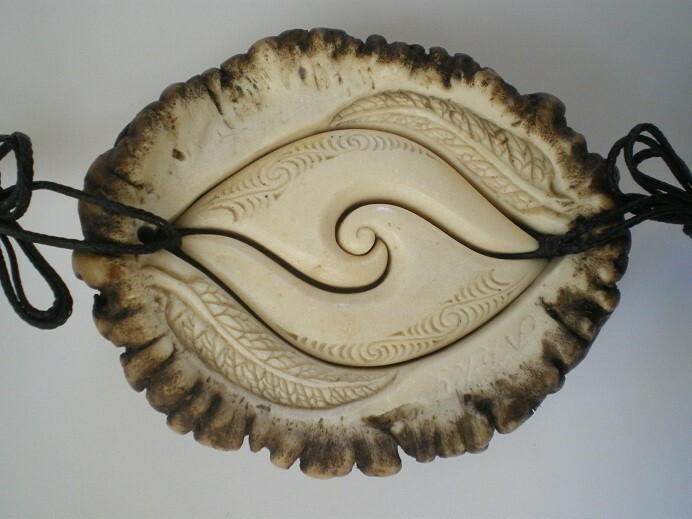 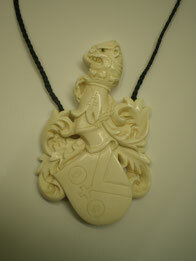 The client wanted a very original piece and represents New Zealand. 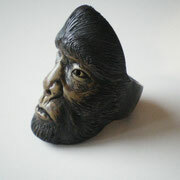 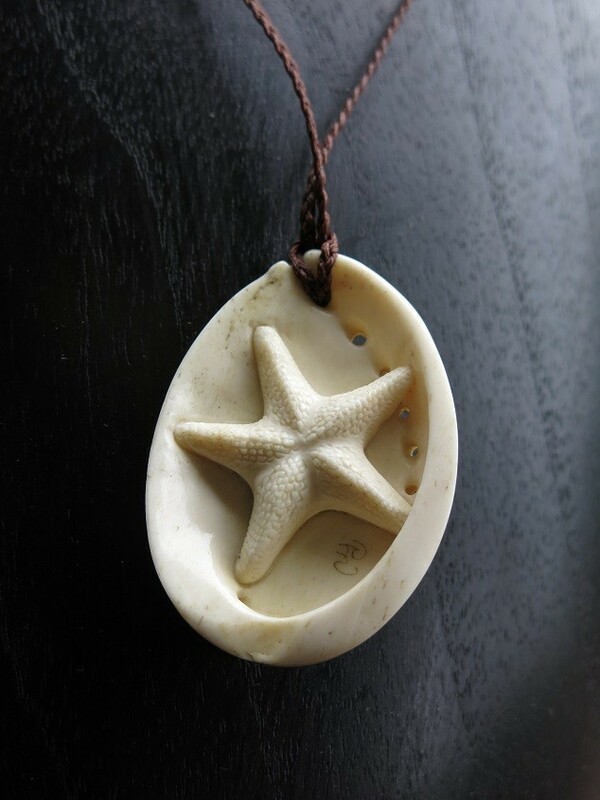 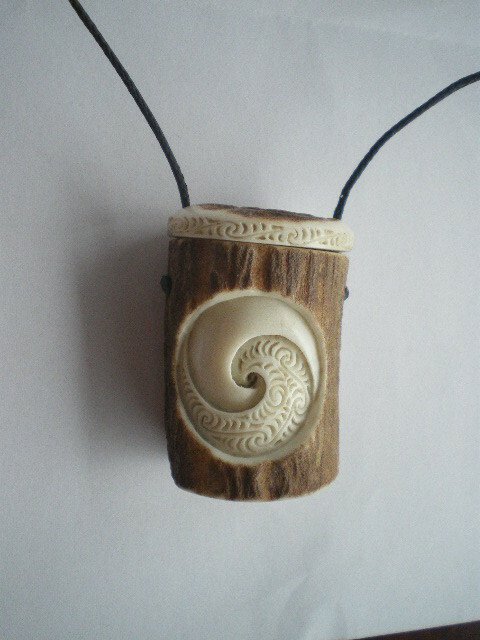 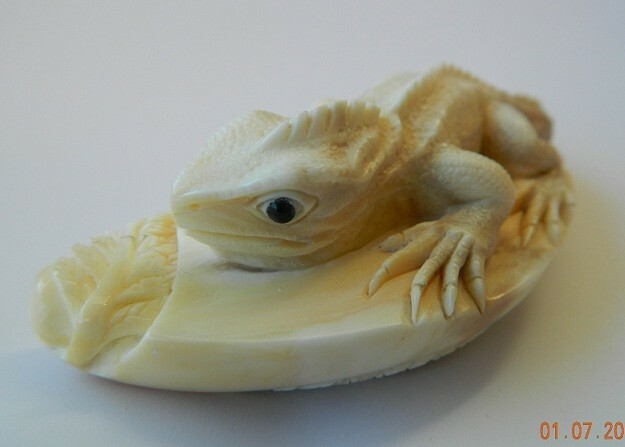 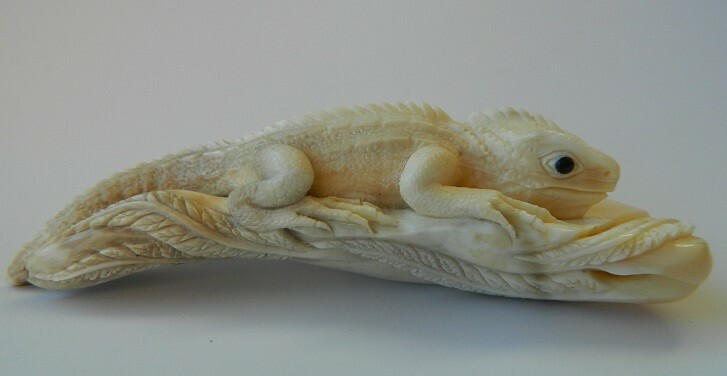 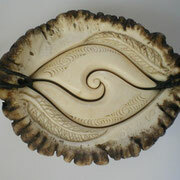 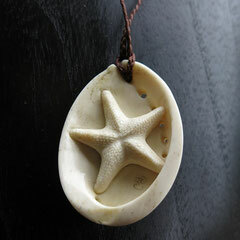 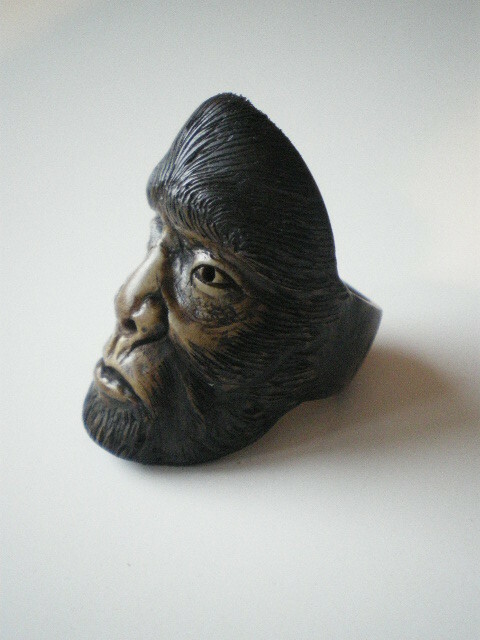 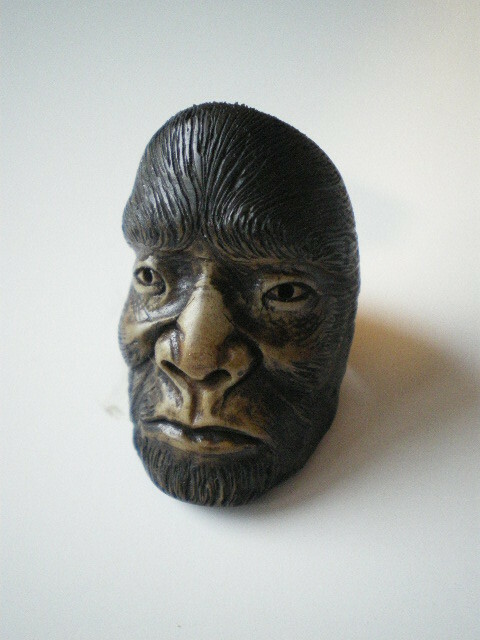 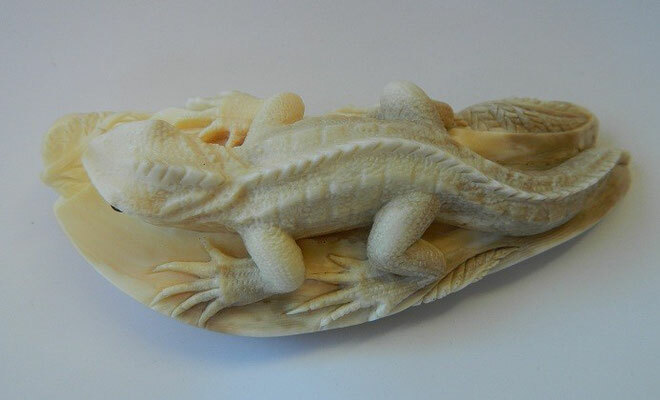 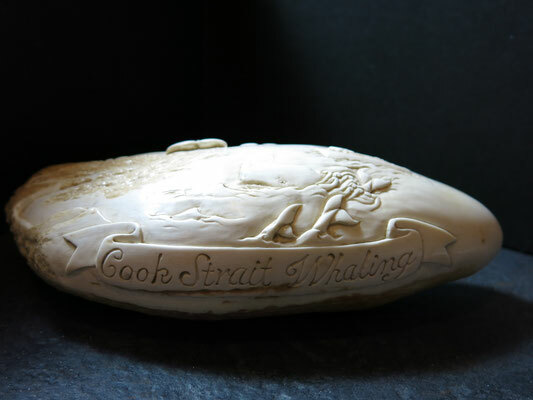 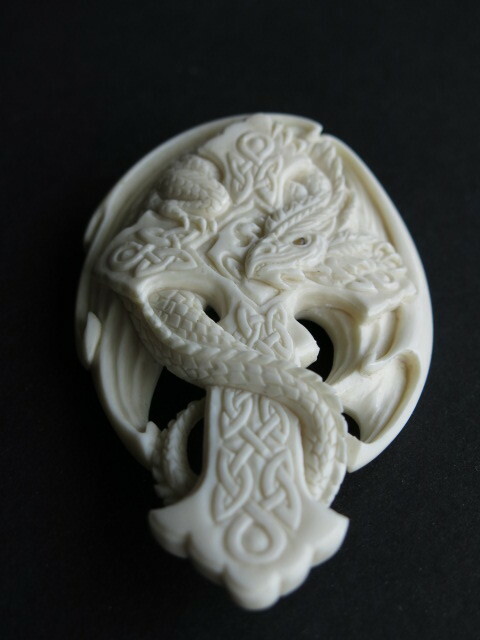 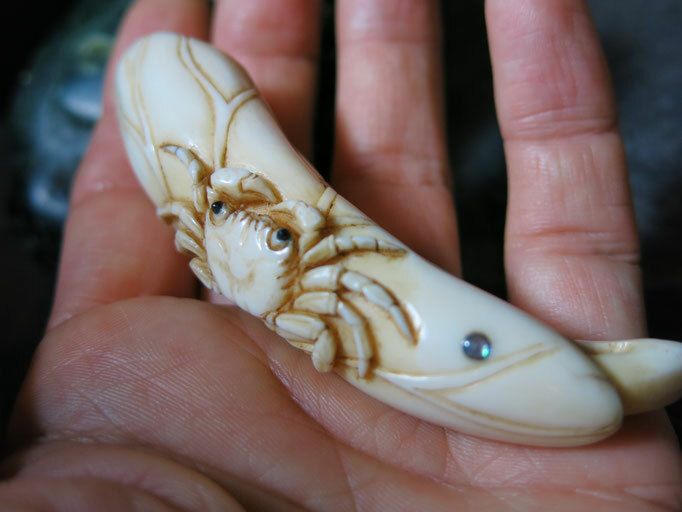 The client from Australia, he asked me to make a similar Netsuke which he had photos(or a piece). 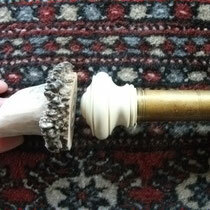 30mm High. 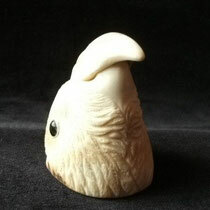 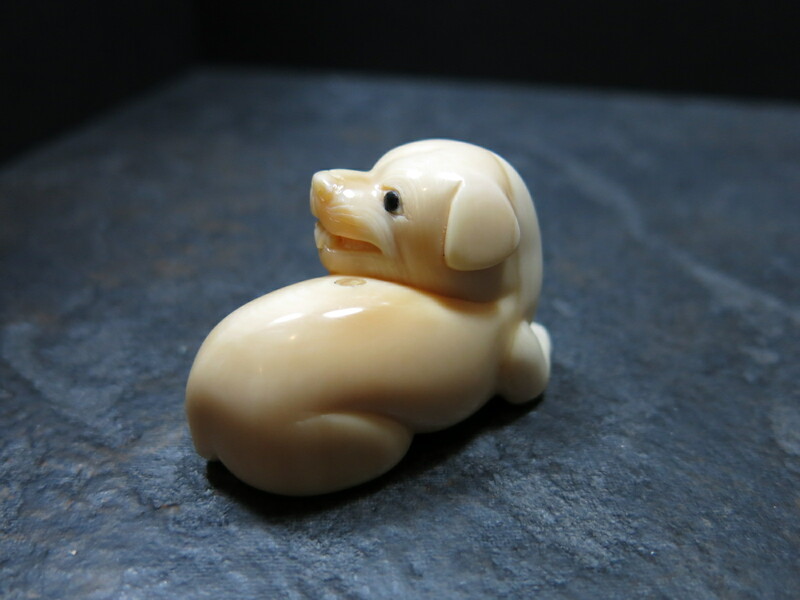 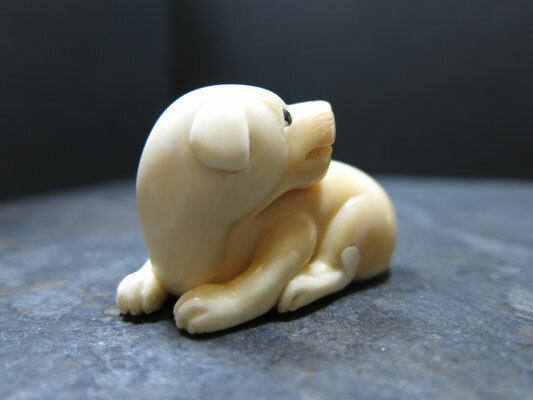 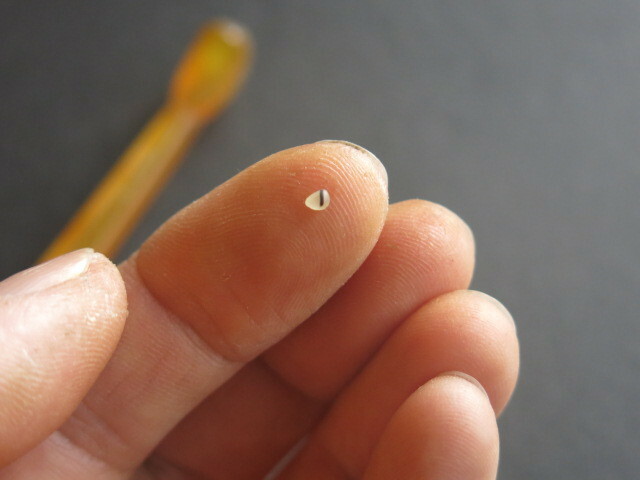 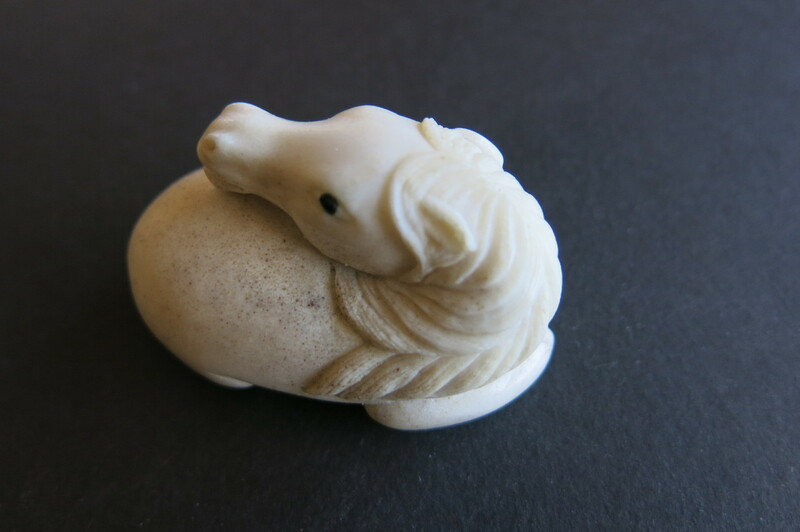 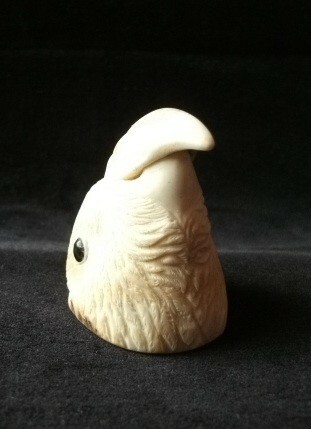 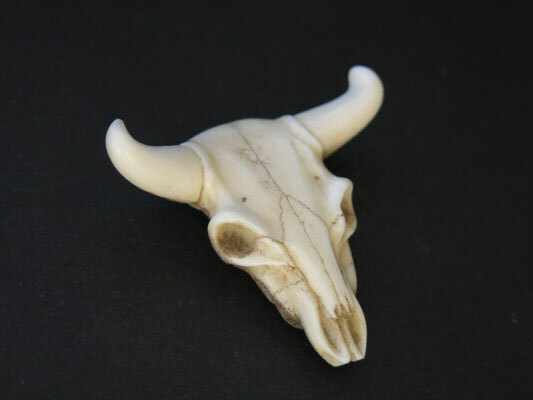 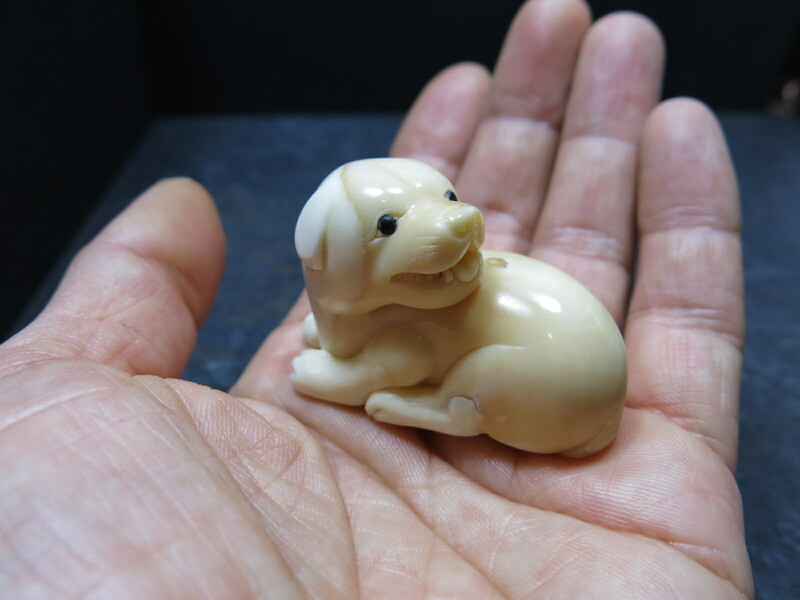 Small Netsuke which is made from Deer Crown. 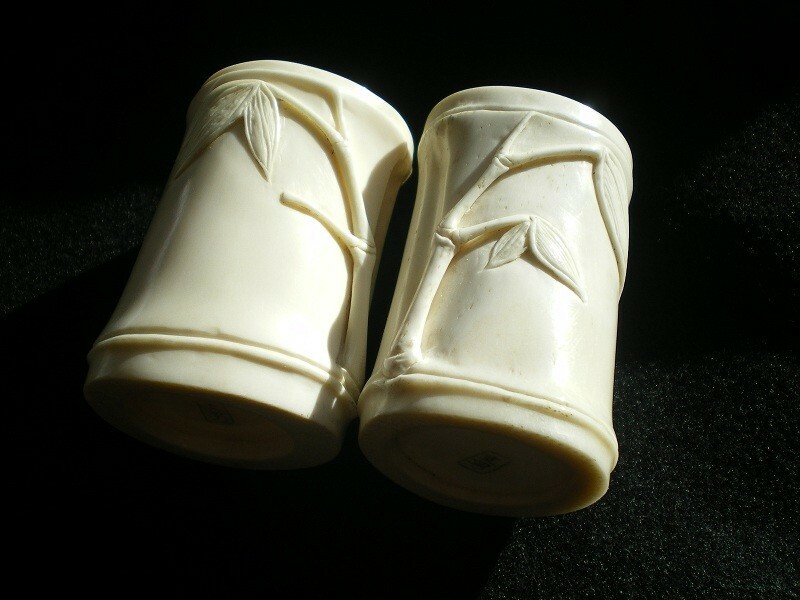 This is a battery case made out of deer antlar. 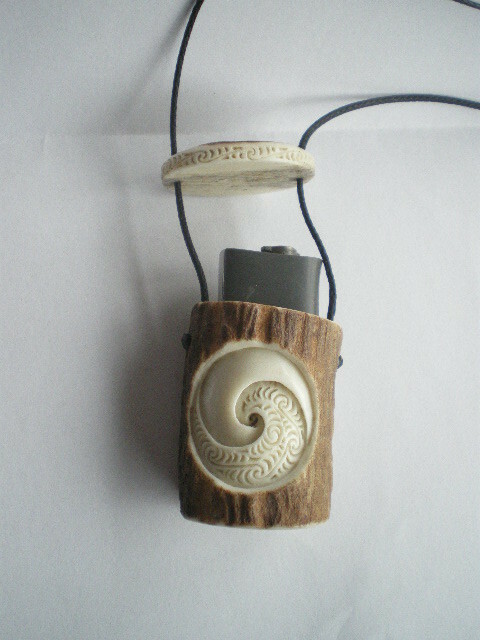 The client needs to carry spare battery all the time for hearing aid. 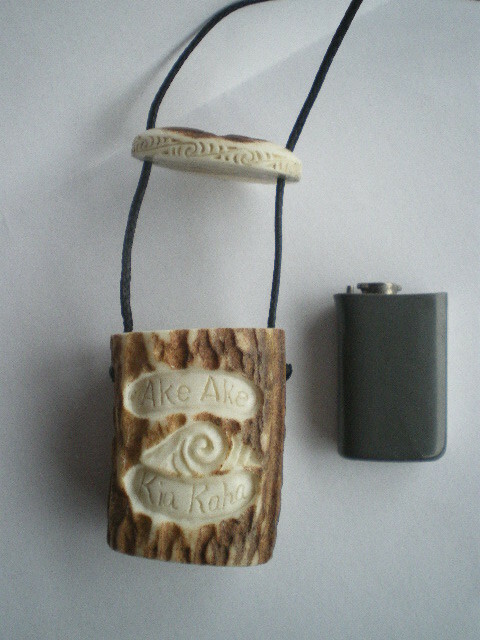 He wears and carries every day and told me that he was very happy about this piece.